Evidence-based examination, diagnosis and management guidelines for the hip – from the IAOM-US. 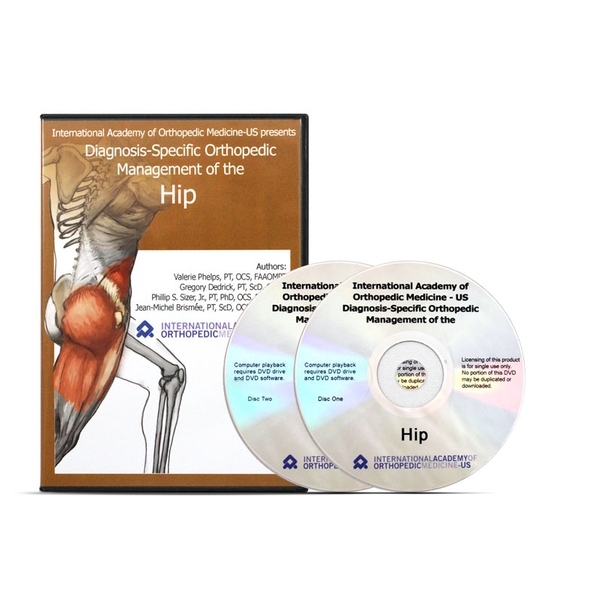 This two-DVD set from the International Academy of Orthopedic Medicine-US contains examination procedures and diagnosis-specific management plans for the hip. Easy-to-navigate chapters are ideal for clinical, school or home settings. Also a perfect companion to the IAOM-US Hip textbook (sold separately). DVD runtimes: Disc One – 1:00:53; Disc Two – 1:01:56.